255 257 Bullet Hole Road, Mahopac, NY, 10541 - Photos, Videos & More! 2 Totally Renovated Houses on 1 Lot - both with NEW Baths & NEW Kitchens w/ Granite Counter Tops, Cherry Cabinets & Stainless Appliances! Level Property. Main House: Large Living Room w/ 2nd Entrance, Stone Fireplace and 10' Ceiling; Granite Kitchen; Formal Dining Room; 2 Bedrooms; New Bath; Family Room; Laundry; 1 Car Garage plus pull-down stairs to Attic storage. Small House: Spacious Living Room w/ Cathedral Ceiling & Recessed Lighting; Granite Kitchen; 2 Bedrooms; New Bath; Closet w/ Laundry Hook-up. Taxes do not include the STAR deduction, if applicable. Both houses currently leased month to month. 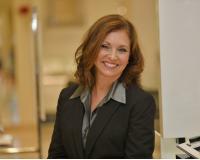 LuAnn has worked in Real Estate for over 18 years as both a Sales Agent and an Associate Broker. She has been with Mancini Realty for 12 years. She resides in Somers with her husband and two children, whom she raised in the area. She’s very active locally as a parishioner and within the school district. LuAnn specializes in the Northern Westchester area. She has been featured as a Sales Agent in Westchester Magazines "Best of Westchester" and has been awarded the "Excellence in Sales, Silver Award". She prides herself in providing the utmost attention for her clients and even goes the extra mile in helping prepare their homes including staging, which she enjoys. LuAnn’s motto is “I’m Liste ning” and her favorite part of Real Estate comes when a client finds what they LOVE because she believes everyone should have a Wonderful Life in their home! The data relating to real estate for sale or lease on this web site comes in part from HGMLS. Real estate listings held by brokerage firms other than Mancini Realty are marked with the HGMLS logo or an abbreviated logo and detailed information about them includes the name of the listing broker. The information appearing herein has not been verified by the Hudson Gateway Multiple Listing Service, Inc. or the Hudson Gateway Association of Realtors, Inc. or by any individual(s) who may be affiliated with said entities, all of whom hereby collectively and severally disclaim any and all responsibility for the accuracy of the information appearing at this web site, at any time or from time to time. All such information should be independently verified by the recipient of such data. This data is not warranted for any purpose. ©2019 Hudson Gateway Multiple Listing Service. Updated on April 19, 2019 6:52 AM.